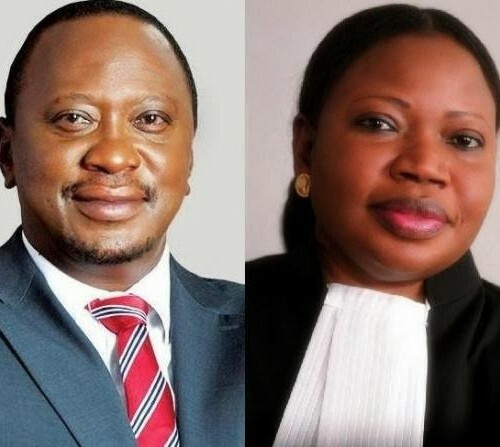 “Today, I filed an application with the Judges requesting an adjournment of the provisional trial date in the case of the Prosecutor v. Uhuru Muigai Kenyatta (ICC-01/09-02/11). My decision is based solely on the specific facts of this case devoid of extraneous considerations. As Prosecutor, I have consistently stated my actions and decisions are at all times strictly guided by the evidence in accordance with the Rome Statute legal framework. This recent decision is no different. It is my professional duty to react, and to take the necessary decisions when the state of the evidence changes, as it has in this case. In the last two months, one of the Prosecution’s key witnesses in the case against Mr. Kenyatta has indicated that he is no longer willing to testify. More recently, on 4 December 2013, a key second witness in the case confessed to giving false evidence regarding a critical event in the Prosecution’s case. This witness has now been withdrawn from the Prosecution witness list. Having carefully considered my evidence and the impact of the two withdrawals, I have come to the conclusion that currently the case against Mr. Kenyatta does not satisfy the high evidentiary standards required at trial. I therefore need time to complete efforts to obtain additional evidence, and to consider whether such evidence will enable my Office to fully meet the evidentiary threshold required at trial. Our pursuit of justice for the victims of the 2007-2008 post-election violence in Kenya has faced many challenges. Notwithstanding, my commitment and that of my staff to the pursuit of justice without fear or favour has remained firm. It is precisely because of our dedication and sense of responsibility to the victims that I have asked the Judges presiding over the case for more time to undertake all remaining steps possible to strengthen the case to ensure justice for the victims. “P-0012 recently admitted that he provided false evidence regarding the event at the heart of the Prosecution’s case against the Accused. The Prosecution no longer intends to call P-0012 as a witness. Separately, P-0011 has informed the Prosecution that he is no longer willing to testify at trial. In accordance with the Regulations of the Court, the Defence is entitled to respond to the Prosecution’s request for an adjournment. The Regulations stipulate that a party has 21 full days to submit a response.